I’m using my May centers as a review of everything we’ve learned. I love how colorful all these centers are because of their bright Summer and ocean themed colors! Below, students are matching up the pictures to the correct CVC word they read in this Summer CVC Words game. As an end of the year review for math facts, I’m using this Pirate Math game which works on addition and subtraction. Students can work on sorting shapes into each column depending how many sides they have. I included standard shapes and real-life objects for students to sort. I have a graphing game in my centers each month, because it’s a skill that can always be practiced. I put my graphing sheets in page protectors so they become wipe-off! I am using this Scoopin’ Up Rhymes game to differentiate amongst my students. Some students match the rhyming word to a picture, some match the rhyming words, and some match all 3. I also have ice cream cones with CVC words and harder ones with blends, digraphs, and CVCe words. I created this Ocean Commotion sight word game for students to review all the words they’ve learned throughout the year. You can find all of the activities above in my Summer Savings Bundle! Another one I like doing is a Summer Bucket List board. 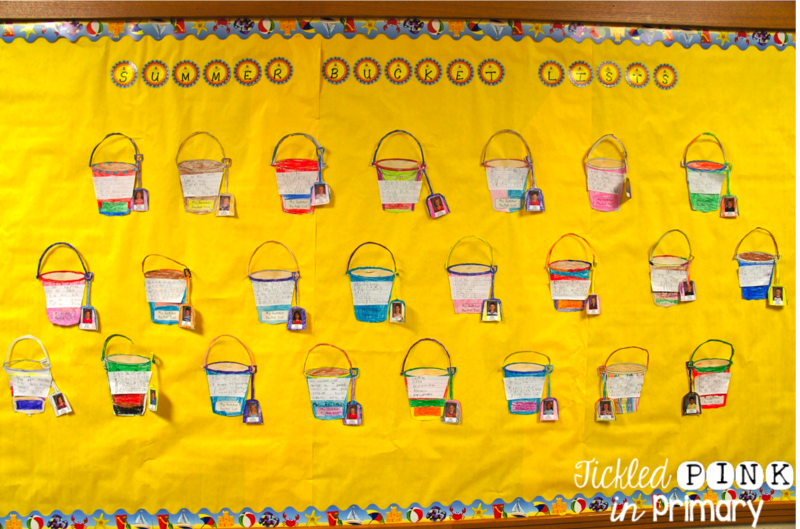 I add the student pictures to the shovels and have students list 5 things they want to do over the Summer. Can you read this Kindergarten writing? 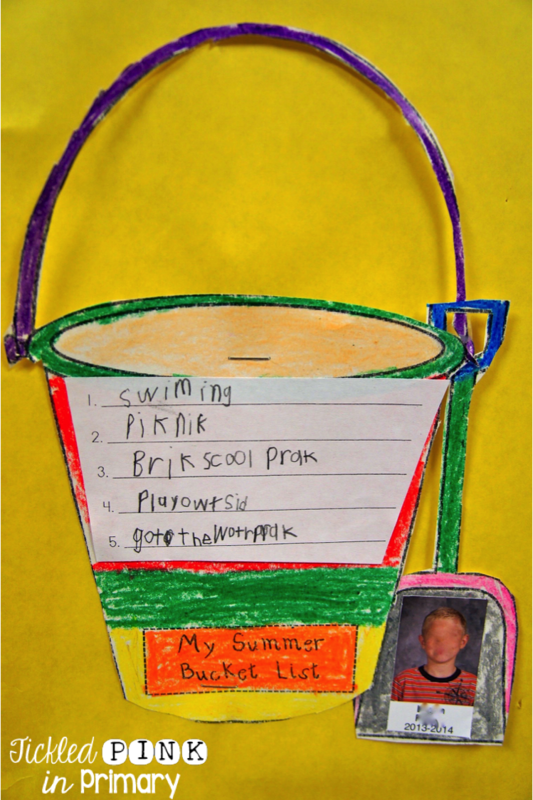 Here’s what this student wasn’t to do: swimming, picnic, Brooks School Park, play outside, and go to the water park. Sounds like he’ll have a busy Summer! At the end of the year, I send home a small Summer packet home with my students that includes writing paper, a sight word list, and a Summer calendar with quick activities. This way students can do a quick review each day and not lose too much of what they’ve learned the past year. How about a FREEBIE to celebrate the end of the year? You can grab a sample of my Summer Shapes games here or grab the whole game and MORE in my Summer Savings Bundle. 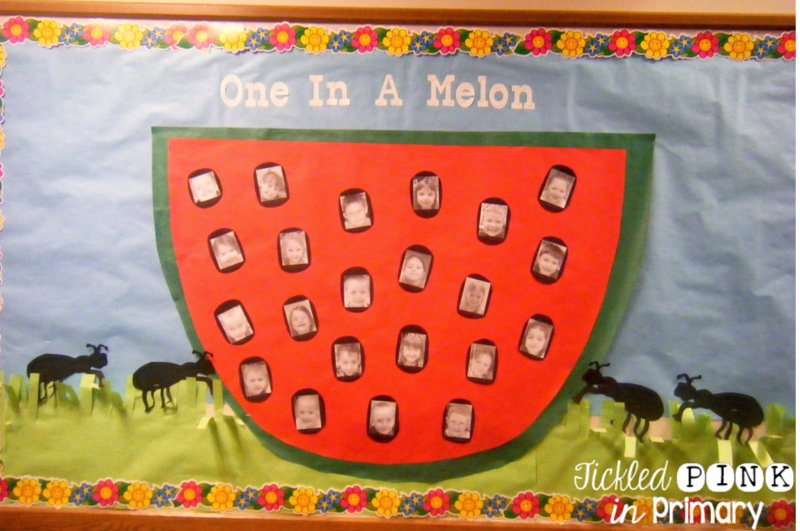 For more FREE ideas, read about my 5 Fun & Easy Games to Keep Kids Learning this Summer.